It's time for a digital Easter Egg hunt! Swagbucks is celebrating April with Collector's Bills worth bonus SB points that you can collect by simply searching the web. Collect them all, and you get an SB Bonus! Once you've collected enough SB, you can redeem them for gift cards to stores like Amazon, PayPal Cash, and many more! When you get a Collector's Bill you'll receive the value of the bill and the bill will be added to your Collector's Bills ledger. 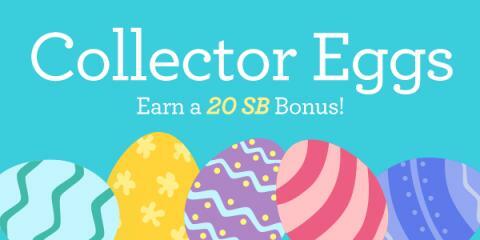 Collect all 5 Collector's Bills and you'll instantly earn a 20 SB Bonus! Keep searching til you find them all!